It was only a matter of time. Throughout history, whenever people have come together and formed a dependence on each other for their physical, social, and economic well-being, they've eventually had to create some form of governance. The Old Testament, a type of code that governed a group of people no matter where they lived, is one of the oldest examples we have of a document of governance. We have also seen people develop documents of governance intended to be implemented based on a physical location such as a nation, state, or city. And this need for governance is also found in organizations and businesses because the framework in which people interact is not the trigger – it's the interaction that triggers the need for governance. And so today we are watching as this age-old practice of establishing rights and responsibilities becomes an essential need in our virtual communities. 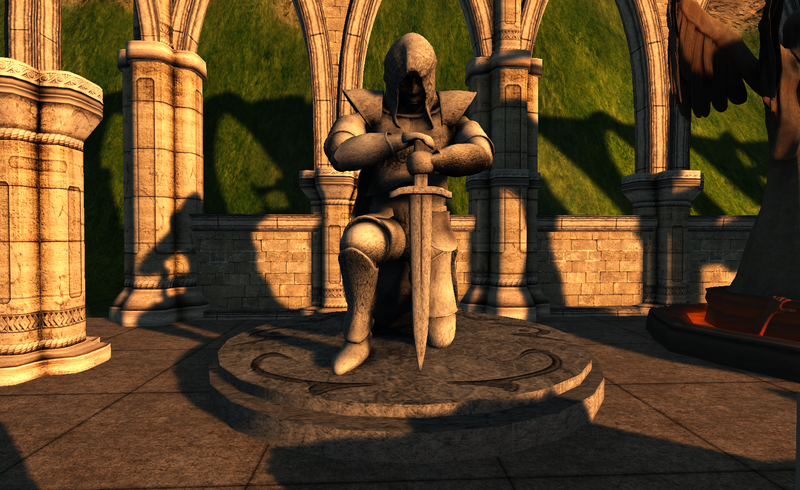 Over the weekend, Vanish Firecaster posted an excellent beginning to an "Avatar Bill of Rights," and I encourage anyone involved in virtual worlds to read through it. While rights are important, they are not the only part of the equation. To be successful, people need their rights to be balanced with responsibilities. Last year I helped facilitate the development of a participation agreement for people who want to access the MOSES grid. During the open discussions we held to develop the document, we covered expectations, behavior, responsibility, and rights. While the choices made for each of these in MOSES is much different than what would be developed for a public and social virtual world, the process is the same. And the final agreement, which provides for a type of governance, is necessary to ensure the grid or virtual world operates in a successful and organized manner. In the case of MOSES, it also ensures those who enter and interact with others in that setting do so with a clear understanding of everyone's role and responsibilities. It's really no different from what we have in the places where we live. I'm not sure how it is set up in other countries, but in the United States, we have federal laws to define and protect our rights. But those are not enough. The founders of our country realized each state and local region would need to further refine and develop rights and responsibilities in order to maintain order and protect people and meet their specific needs. So each of us in the U.S. accepts a different set of rules and resonsibilities based on the state and/or city where we live. And if we don't want to accept them we can either try to change them, or we can move. Perhaps in developing virtual rights and responsibilities, or a Metaverse Code, we could follow a similar type of framework. We could begin as Vanish has done and define the rights including those identified by the founders because they are "natural and inalienable rights." Then each grid, which is a type of city or region, can develop and further define these rights and responsibilities based on the culture or population dependent on that place. It would function as specific code for that grid and fit within the umbrella of the Metaverse Code and any laws imposed by the physical world. And the people who make up the population of a specific grid, even if owned by an individual or company, should help develop the code because a "government" only gets its authority from the people. And yes, I realize a private grid is owned by a private person, and they certainly can try to make up their own rights and responsibilities to impose on everyone, but without acceptance of their authority, they will face an empty grid. So it is in the best interests of their grid, if they expect people to invest time and money there, to allow those same people to have a voice in the governance of that grid. In the spirit of exploring the idea of governments and virtual worlds, Vanish set up a meeting on Saturday, Feb. 23, 2013, at 4 pm CST to discuss the topic. If you have an interest in either government or virtual worlds, I highly suggest stopping by to add your voice to the conversation or even just to observe. 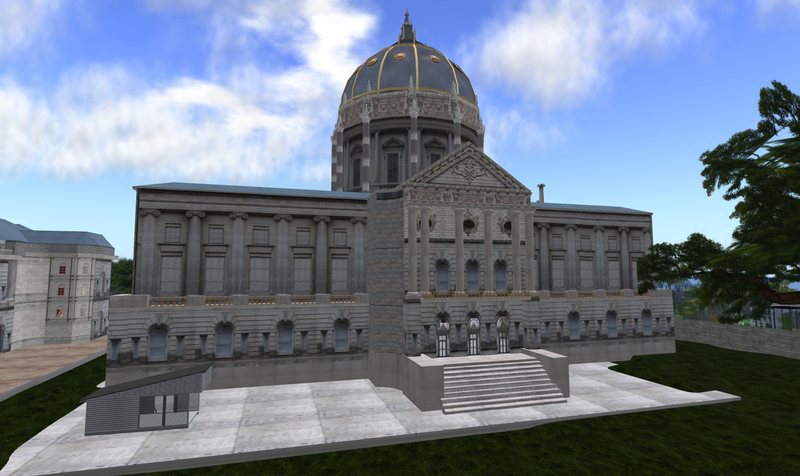 The site is currently set to be held in OSGrid on the Public Works sim. But because some people who want to attend are banned from entering OSGrid, he will probably move it to another grid. So make sure to keep checking the listing to see the final location. Fleep recently summarized the promise she saw in the Second Life community, the change that transpired there over the last few years, and her decision to focus her involvement in a different virtual community or platform. (You can read her article here: Why Anyone Who Cares. . ..) And based on the comments she received and what I have read online, her experience seems to be one shared by many who followed a similar path in that virtual world. But at the root of her article, I saw something else that was intriguing and provides great insight into public apathy. In local government we are constantly bemoaning the lack of public involvement in the community. We can't understand why no one seems to care, becomes involved, or attends meetings. If you have ever wondered this I suggest you read Fleep's post and imagine she is talking about any city in the the physical world. Because she could be describing exactly what happens to those who try to get involved and make a difference in their own cities and towns. It all starts out much in the same way it started out for Fleep in Second Life. A person becomes excited about the promise and the opportunity to help create something different – something that could be so much better. In the physical world this could come about because there is a change in leadership such as newly elected officials or a change in a prominent and influential community within the city. Or it could occur because of a major change that brings about a significant shift in management or development of that city. Whatever it is, it's enough to motivate someone to invest time, perhaps money, and for some, their heart and soul for the cause. This person does this because these new leaders seem to share their dream or vision and by doing so they inspire the person's dedication and commitment. They also provide opportunities for involvement and contribution to the cause. The foundation of this effort is to make the world a better place. For some of us, this is almost an impossible opportunity to pass up. "Everywhere you looked was innovation. Anything seemed possible. Maybe even probable." As Fleep said, it is "an exciting, heady time." Perhaps you know of someone who has made this type of commitment for your city or town or perhaps you have done so yourself. If so, you might be able to guess what happens next. Eventually things begin to shift. Perhaps there is a change in leadership. Or someone who has a lot of control in the community and had only up to this point been watching becomes involved, possibly because all this new innovation and change is starting to negatively impact the good thing they had going on for themselves. Unfortunately for all the obvious challenges to innovation, change, and progress, there are many more forces behind the scenes that will make sure change does not happen if it starts to actually make a significant difference. So eventually the person who had invested everything in this cause starts to realize something has changed. They begin to hit roadblocks or look around and realize no one left shares that dream or vision. Or perhaps the new leadership makes sure they are no longer able to contribute or help out. For many of the reasons Fleep has given, the person will most likely give up and move on. And most do. Those of us who have been this person or those of us who have known people who have gone down this road will most likely not allow ourselves to be sucked in again by promises and dreams. We have come to the conclusion that it's not worth it. Primarily because no one else seems to care and all our work and effort is undone by others. And apathy takes root. But there is another profound point to all this in a great post by Botgirl that was written in response to Fleep's: My take on the future. . .. In the end, the person who has given it all only to see it carelessly cast aside might be tempted to blame those who grabbed the helm and changed course. But as Botgirl points out, "if there has been a failure, it is ours." The true failure is because the majority will not make an effort to do anything to prevent it. And they will not even recognize or acknowledge they have the power or ability to do so. Or if they do, they do not know how. We have allowed this apathy to become ingrained in our culture by beating down those who try to make a difference until they give up and others witness the futility of their efforts. Apathy has been our legacy in our physical space. Will we allow it to become our legacy in our virtual communities too? Or will we create the opportunity to overcome apathy in both spaces by following Fleep's vision to "learn from our experiences in virtual worlds to make the real world a better place, too." 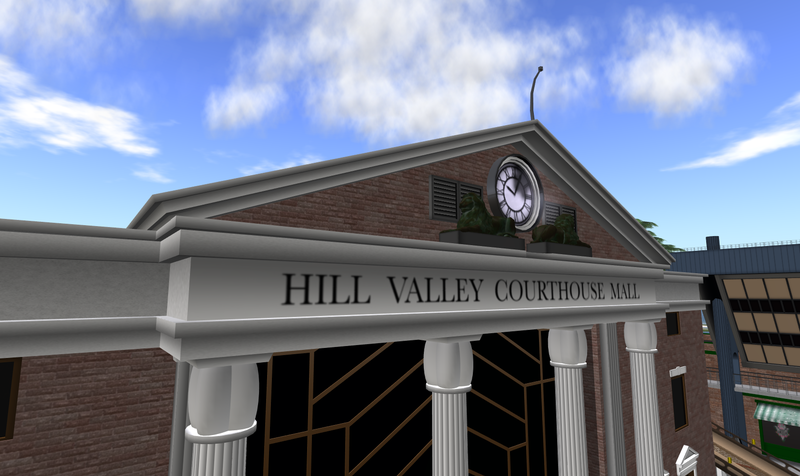 After launching a community planning effort in the virtual world of Second Life, I’ve begun to experience a few things I don’t think many of us in government would have thought possible. Like probably many of you working in government and planning, I’ve been amazed that so few people really get involved in a constructive manner in how their city works. There’s been so many council meetings I’ve attended where the only person in the audience was the newspaper reporter and sometimes even he didn’t show up. The planning workshops didn’t attract many more. Yet the Bigfoot show comes to town and everyone shows up at their town hall meeting to passionately share Bigfoot stories! Unfortunately when people do show up at city meetings, many are usually hesitant to really share or open up. Whether it’s group dynamics or the seemingly heavy hand of government we just seem to receive a more muted response than what is desired. Or like the open forum in a newspaper, it gives people a platform to complain or rant without trying to help find solutions. What is quickly becoming apparent from the meetings and surveys is that the people who attend and share are focused, open, honest, constructive, understanding, helpful, caring, dedicated, passionate – all those things those of us in government sit on the edge of our seats hoping to see in our planning meetings. I was blown away by the insights and thoughtful statements and observations people made. Even though I’ve spent years there and know the community is amazing, I guess I never saw it expressed in a context I could compare to something I know very well in the offline world. And it got me really thinking and looking into how people here interact for the good of the community. I began noticing in a new way all those people in virtual worlds who take the time to share their thoughts online, particularly those in Second Life. This seems to have occurred almost since the creation of that world. So that on any given day, you can find people sharing their ideas and observations about the place on blogs, Twitter, Facebook, etc. And the people taking the time to do this end up creating thoughtful posts with the goal of helping advance our knowledge and success of the community. You can tell they care very much and are invested and passionate about the place. Even when they are analyzing or commenting on a perceived problem, they are also trying to suggest solutions. Then the community jumps in and adds to the discussion. Yes, there might be people in that group who are mad, upset, angry, or exhibiting any other negative emotion. But what typically happens in those cases is the community often reacts and many times ends up creating a constructive discussion out of it. Have you ever seen this dynamic in an offline community? To the extent it has stretched in Second Life? And in the manner where the people inspire each other in a circular process of sharing, discussing, considering, sometimes acting on an idea, and then sharing again. It’s the engagement those of us in government hope for everyday. Now, after seeing this, I started wondering why does the engagement and planning process work so wonderfully, well at least so far at this planning stage, in a virtual world, but is so difficult in a traditional setting. And I want to share that I have not just observed this in Second Life. About the same time this planning effort was started, I also began helping a community planning process in another grid. And even though that grid has a much different focus and purpose, we are experiencing the same tremendous level of success with working together for the good of the community. I think part of the reason people are better engaged in meetings in virtual worlds could be that the setting prevents them from being influenced by any physical appearances or reactions. It also seems to relieve people about any concerns over what others might think of them or their ideas. They feel safe. Unfortunately in traditional meetings there is always the person who dominates the conversation or people who probably unintentionally end up influencing people’s input. Virtual worlds seem to dampen this and force a type of equalization. I also wonder if discussions in virtual worlds are more efficient and better focused because discussion can always occur through typing rather than speaking. People can also type privately to each other to discuss what is being said in the public chat which could help them better develop a viewpoint before sharing it publicly. Or perhaps part of it is that going to a physical meeting is so much more demanding than just logging onto a computer. With the computer, you don’t have to worry about how you’re dressed, you can sit comfortably at home, and if your kids need you or something else comes up, you are available and can always log off. Are Virtual People More Motivated? Based on the people I have met in Second Life, I’ve not really seen the same limiting demographics he mentions so I can’t really comment on why he chose those specific types of people. But it’s the rest of the quote that is much more interesting to me, particularly as I go through this planning process. He mentions the difficulty of engagement while I see the opposite with people already in Second Life. So I wonder if he is talking about the difficulty of engaging those who are not yet in Second Life. And many of us in Second Life could probably agree with this – it’s extremely difficult to encourage people to join Second Life. But once people are in Second Life and take the time to figure it out, they get it and seem to become highly engaged community members. So does Philip’s last sentence help explain this? Is the ability to be highly motivated and stick with something and learn it the filter that creates a more engaged community? Perhaps these are the type of people who might put self-interest aside and devote their own time to the betterment of a place they love. I am not sure if this is it, but do believe it is something to consider. And This Means What to Government? While I’ve been inspired by this deeper, yet far from complete, understanding of the fabric of the Second Life community and virtual worlds in general, I can’t help but wonder how it will impact our offline world. Because I believe at some point it will. And I am not sure if “offliners” are ready for this type of true engagement. Hopefully I’ll get time soon to explore this further in another blog post along with what it could mean to Linden Lab as the creator, host, and manager of our community. 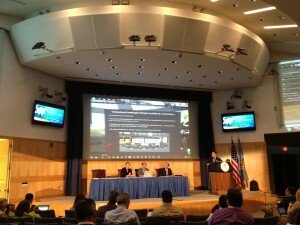 Last week, I attended the Federal Consortium for Virtual Worlds annual conference. I realize the theme for the conference was "Inspire the Future," but an underlying theme I sensed was "Keeping up with the Future." Our society and the technological changes are hitting us at an exponential rate. Like one of the attendees said to me, imagine being Socrates teaching in Greece in the centuries before Christ. You would start out your class with an introduction to the two new discoveries that might have occurred that year. Today, there's so much happening, no one can follow it all even in one field. But I still think the two themes complement each other. While many there were attending in order to learn and keep up, they are also the same people who will or have done things to inspire future work and changes. One of the interesting aspects of being at this type of conference is that you get a sense you are watching these future developments occuring before your eyes. One of the sessions I attended on the Workshop day was FIRST RESPONDER: Virtual Platform Immersive Training Project. Because I am considered an emergency responder and have taken many classes in this area, it was definitely a workshop not to be missed. The session was led by Dr. Paula Smith, chief operating officer at the Catastrophic Planning and Management Institute. Dr. Smith shared with us the work they have accomplished in delivering emergency response training in an immersive environment. Because many in the audience are also working in this area and involved in collaborations on a global level, I believe important ideas were shared and the potential of future partnerships formed. The key points I took away from the session was that their work is based on recognized systems such as NIMS and ICS and they have increased learning retention rates by 29% to 39% using this technology and approach. 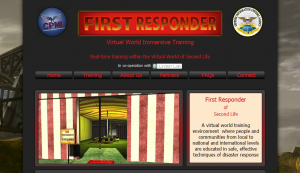 You can learn more about their classes at their First Responder Virtual World Immersive Training Website. One of the other two workshops I attended focused on developing online training using learning concepts of Robert M. Gagne. 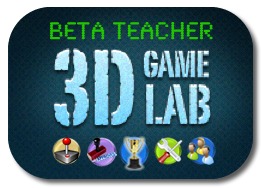 And the other was a three-hour introduction into the use of Unity3D. Unity3D was a hot topic throughout the conference so I expect to see even more learning environments developed with that platform in the future. And it seems there is some promise in the future of development tools being created for Unity3D that will make it even easier to build and link to existing data. As for the workshop, it was well attended, and the presenters – Eric Hackathorn and Julien Lynge – did such a great job the time flew by so fast. Eric and Julien, along with Eric's father, Richard, are all awesome innovators who you definitely want to keep an eye on if you are looking for inspiration. You can check out their work through Fragile Earth Studios, a project of NOAA. Jesse Schell, a professor at Carnegie Mellon University and author of The Art of Game Design, led off the keynotes with a discussion of The Future of Virtual Characters. His insights and interesting presentation style pushed us to rethink the definition of avatars and how we are represented online. I enjoyed his pronouncement that "Mario is a terrible friend" because each time you play any of his games he acts as if it was the first time you have met. He seems to have totally forgotten all those adventures you shared saving princesses, winning races, or defeating monsters. Schell imagines a time when online characters will recognize you and remember your shared experiences. They will age with you and perhaps become one of your most trusted companions because they will listen and interact with us. Another interesting concept he shared was based on a book, The Innovator's Dilemma by Clayton Christensen. The key point was that companies can fail or lose ground to newer, smaller companies because they let customers drive their innovation. He pointed out that customers who seem comfortable with a product might not realize the benefits of a newer product and might discourage a company from developing it. This leaves the door open for another company to bring the product forward and attract the customers away. Randy Hinrichs, CEO of 2b3d, covered a history of how we got to where we are today with virtual technology and where we might be going. I liked his points about mentor networks and certification of online work so we can approach it with more trust. James Blascovich followed up with a presentation about the Mind, Brain, and Virtual Reality. His work explores how the mind processes real and virtual images and how the distinction does not really matter to our brains – both can be perceived as real. The day concluded with a panel discussing the future of health applications in virtual worlds. There's been a lot of work done in this area. One of the interesting ideas proposed during the talk was that because games for health have been proven to be so beneficial, insurance companies may one day receive claims for patient game play. The last day of the conference began with Dr. Michelle Fox of the Department of Energy sharing information about NTER. This is an online framework people can use to develop and deliver online training and education. There was a lot of good information presented about how the tool works and how people can use it to deliver courses. I just don't think I can do it justice in a short synopsis so I would encourage you to view it yourself, along with all the other sessions, at the link I included at the end of this post. Even if you aren't interested in developing courses, you might still want to check out their site because people have listed courses there for you to take. 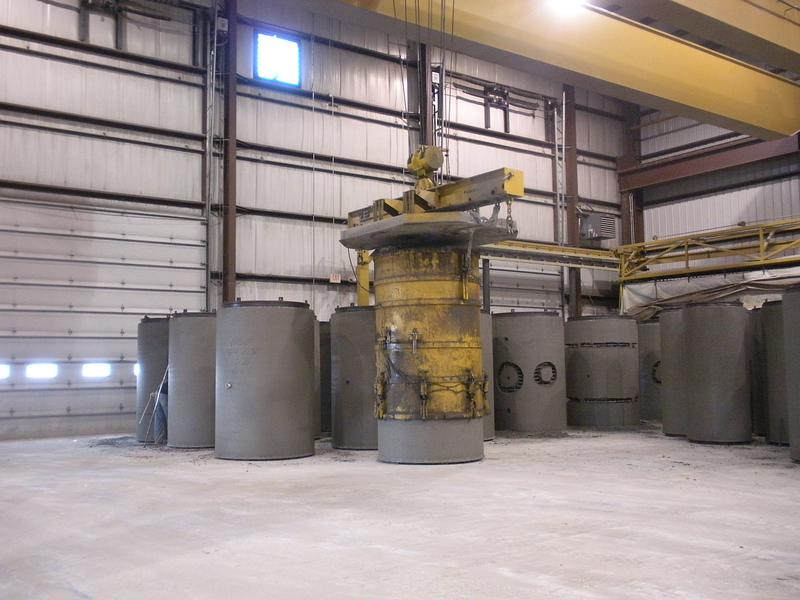 Right now there are classes covering blower doors, hazards, insulation, pumping, steam, building science, and many more topics. The next panel discussed their work on MOSES, an open simulator-based grid set up by Douglas Maxwell. Douglas is an engineer, staff researcher at the Naval Undersea Warfare Center, and huge innovator who has done amazing things over the years to showcase and develop the use of 3D immersive spaces by government. Dr. Kay McLennan is a professor who teaches economics and business practices at Tulane University. Kay has been a great friend to me and fellow virtual world explorer ever since we met a few years back on her sim in Second Life. Kay has always produced amazing high quality work in the 3D space and was one of the winners in the Federal Virtual Worlds Challenge. I was not as familiar with the work of the other two panelists, Robert Daniel, an adjunct professor at George Washington University, and Andrew Stricker, with the Air University. So it was interesting to learn more about the projects they have developed in MOSES. The final two sessions covered learning and security in virtual worlds. Dr. Reneta Lanisquot, with New York City College of Technology and one of the learning panelists, suggested we are at the "Pong" stage with virtual worlds. She also shared how adding a more "fun" element like Alice to a computer programming class significantly made a difference in learning and in future performance of students. In the security session, I really liked how Dr. Barbara Endicott-Popovsky with the University of Washington emphasized the need for people to consider the unintended consequences of technology. If we did this more across all disciplines we could save ourselves a lot of time and money and problems as a society. The conference ended with closing remarks from both Randy Hinrichs and Paulette Robinson. Of course, everyone in virtual worlds in government knows Paulette – she is a tireless innovator with the National Defense University (NDU) who has inspired and supported many of us to pursue and leverage 3D immersion within government. Without her and the backing and support of Dr. Robert Childs, the Chancellor of NDU, we would not be able to attend such a great conference. The other cool part of the end was that the National Highway Institute won the government project award for their work with delivering bridge training and a geotechnical conference through a virtual setting. And as a civil engineer, I look forward to continued use of 3D immersive tools within that agency. I can't complete a true summary of the conference though without mentioning all of the very incredible and inspiring people who I either met or reconnected with while there. And there were also the many more who participated online. There were just so many, I wish I could list them all, but don't want to take the chance I might miss one. I look forward to continuing the conversation online as we continue to inspire, help each other keep up, and celebrate each other's innovations. For several years, the National Defense University (NDU) has been sponsoring the Federal Consortium for Virtual Worlds Conference. 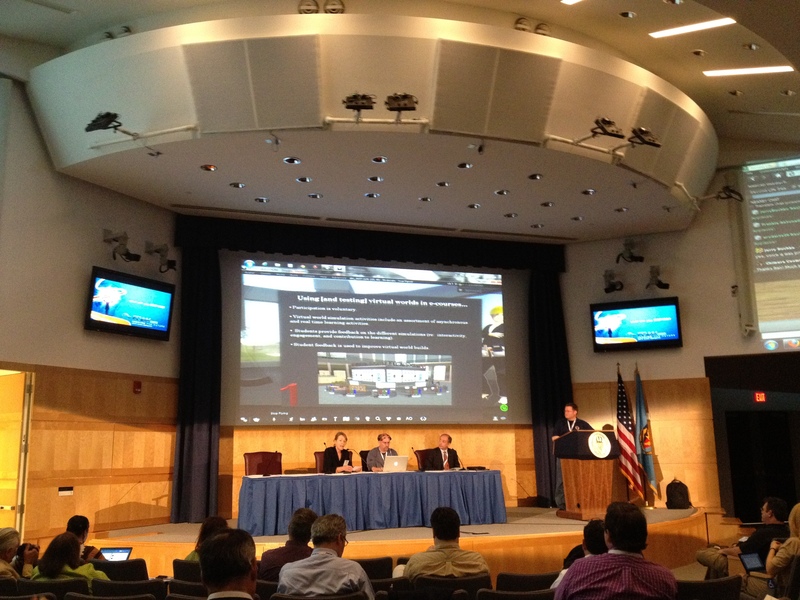 This annual event explores government use of 3D immersive technology. Although the event is great to attend in person, many people are not able to travel to Washington DC and instead attend the event online through several different channels. This year, parts of the conference will be live streamed to the Web. I've embedded a viewing window below in case anyone wants to check out the conference on Thurs., May 17, or Fri., May 18. If you want to check out the other ways to attend "virtually," you can follow this link: http://www.ndu.edu/icollege/fcvw/live.html. The Time for a Comprehensive Plan for Second Life is Now!? Today I read a great article about digital citizenship, Digital Citizenship and the Forward Edge Transference, written by Mike Langlois, LICSW. In his post, Langlois discusses many similarities between online and offline behavior. This was interesting to me because as a local government employee, I've also recognized many similarities between offline communities and online spaces. But my focus usually tends to be more on how the community functions as a whole. Langlois is in the psychotherapy and social work fields, so his perspective seems to be more targeted at the individual and interpersonal level. But both of our observations meet at the same very important point in all this – people are viewing, approaching, and behaving in these online spaces as though they are in an actual place. They rely on and feel loyalty and obligation to the digital space where they hang out, and this sense of responsibility extends to the people there with whom they interact. The significance of these observations to offline and online governance should not be underestimated. It will eventually have major impacts as digital populations increase. 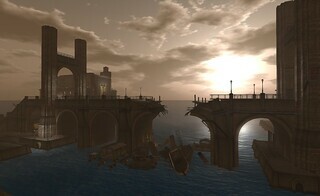 One example is the current sign of unrest among the population of the virtual world of Second Life. If this were occurring in an offline community, the solution would be to develop a comprehensive plan. And if we acknowlege that people in a digital space are behaving as they would in an offline space, there is no reason to believe we should not apply this same solution to Second Life. If we do not, past experience in the offline world has proven we risk diminishing the success of our community. While a comprehensive plan is not a cure-all, the practice of going through it and the final document can go a long way in helping move a community forward. These plans are viewed by professionals to be so important that grants are commonly offered to help fund their development. Unfortunately at this time, grant providers have not yet come to the same awareness as some of us that digitial spaces also need these plans. So moving forward on a plan for a virtual community would have to be self-funded or be developed through volunteer efforts. Another challenge in developing a comprehensive plan for a virtual space like Second Life is that there are no models to follow. But due to the similarities between online and offline spaces, I believe it would not be too difficult to modify a typical plan to meet the needs of a virtual one. Because I feel so strongly about this, I went ahead and developed a proposal for implementing the comprehensive planning process in Second Life. And I went so far as to have it peer reviewed by an experienced planner. Then feeling confident it offered a well-thought out approach and reasonable solution, I emailed it to Rod Humble. Of course, in the back of my mind, I didn't really expect a response and never received one. I just don't think a private company wants to believe they have anything in common with government. And many private managers or CEOs probably aren't very familiar with how local government actually works and why. The problem with Linden Lab not choosing to at least consider this solution is that in an offline space, I don't think development of a comprehensive plan is usually undertaken without the "city" being involved. So I am not sure if it would be possible or worthwhile to attempt this without the involvement of Linden Lab. But I do believe this type of exercise and plan would help address many of the current concerns in that particular virtual world. And I think some group needs to provide the lead that many online communities might eventually have to follow. So I decided to post the proposal here and ask if anyone in the Second Life community sees value in this or believes it would be worth the time and effort or even a discussion or if it is even possible to implement on our own. If not, I suppose it will eventually be another online company that in the future forges this path.